Our newest set of classic cars are our beautiful Two Tone Silver Rolls Royces and they were well worth the wait! In our new set of classic wedding cars we have the amazing 2 door Rolls Royce Convertible with a matching Rolls Royce Limousine. This set is a match made in heaven! We have the Convertible for the Bride and Groom and the Limousine for the bridal party. Both vehicles are very spacious and comfortable and also include new leather interior. The colour is the prefect shade of Silver that will look beautiful in your wedding photos and no doubt will turn heads. 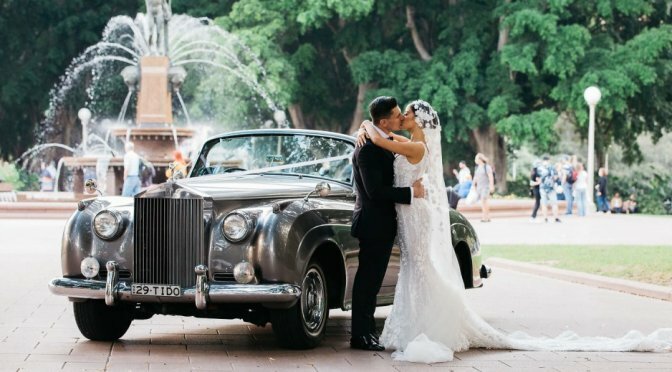 Wedding Cars really do make the most gorgeous backdrop and our new Two Tone Silver Rolls Royce Wedding Cars are just that. Come in to see for yourself!